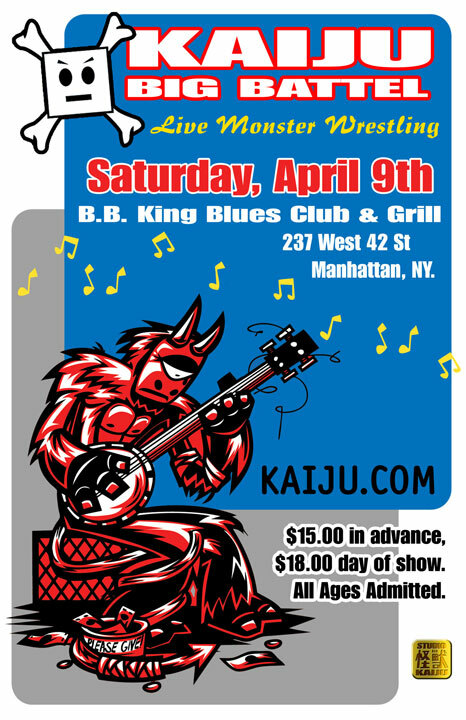 Kaiju Big Battel will invade B B Kings on Saturday, April 9th. This night of live monster fighting will showcase Kaiju favorites, Steam Powered Tentacle Boulder, Hell Monkey, Dusto Bunny, and possibly even Dr. Cube (if the rumors are true that he is truly alive.) plus 45 blocks of crushable cityscape primed for destruction. So come experience this year’s greatest night of live monster wrestling and see if Kung-Fu Chicken Noodle can defend his Kaiju Championship title. This is Kaiju’s only scheduled New York performance, so don’t miss this rare chance to catch one of the best action comedy shows in America. 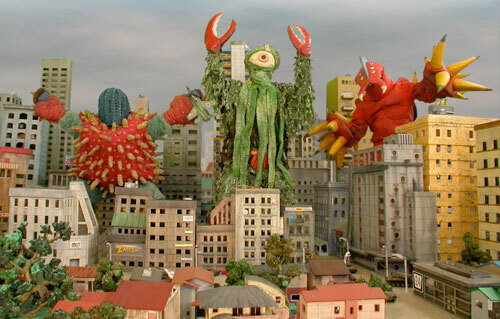 The night’s line up of giant city-crushing monsters will be announced online leading up to the big night, so be sure to visit kaiju.com for weekly updates.